We are a chain of 3 -Star Graded resorts that offers affordable accommodation to the keen Outdoor Enthusiast. 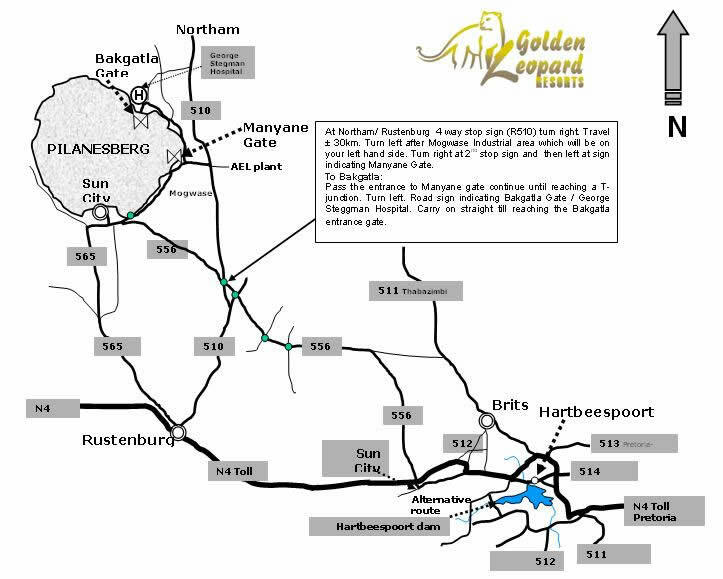 The Pilanesberg National Park is home to Golden Leopard Resorts; Both Manyane and Bakgatla Resorts offer the keen outdoor enthusiast superb accommodation in Chalets, Tents, well equipped Caravanning and Camping facilities, Conference facilities, Restaurant facilities, convenient stores and Kemonate Bush braai lapa. Our activities include bush golf, children’s playground, walk in aviary, self-guided or conducted game drives and a self-guided walking trails area. Our resorts offer tranquility and relaxation. Meals are served at the restaurant, if you just wanted to totally unwind and enjoy our fabulous “Africa buffet” cuisine.